In recent years, Taylor International Corp. has acted as a construction manager at risk, construction manager, general contractor, and construction consultant specializing in the gaming and hospitality industry in Las Vegas, Nevada. However, its project list also includes regional malls, schools and restaurants across the United States, and numerous Native American developments. Taylor’s international experience includes completed projects in Mexico, Chile and Peru, as well as consulting on construction projects in Canada, Panama & Macau. Since its inception, Taylor has completed more than $4 billion dollars of construction projects throughout North and Central America. As a firm operating in the Las Vegas Valley for the past six decades, Taylor has grown to understand the challenges associated with the construction industry operating in an extremely volatile local economic environment. Taylor’s executive, project, pre-construction and field supervision teams bring more than a century of construction experience to each individual project. Taylor’s ability to sustain quality relationships with the subcontracting community, vendors and suppliers ensures quality construction, proper administration of contracts, and project control. 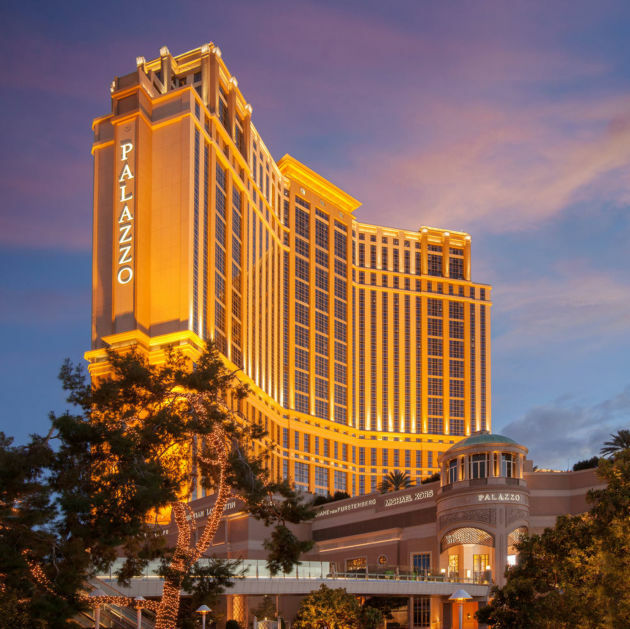 The Palazzo Casino Resort, the world’s largest USGBC LEED™ Silver certified building, consists of a 50-story hotel tower, casino, retail, restaurant, and support facility space covering more than 7.5 million square feet. During the peak of construction activities, more than 3,500 workers were employed on the project on any given day. 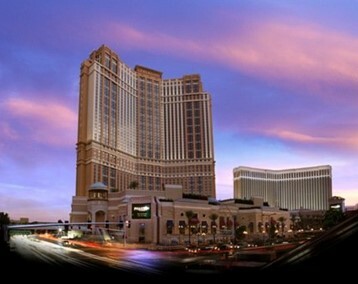 The Palazzo Casino Resort ranks as the sixth largest building in the world and the second largest building in the western hemisphere. The five-story podium/low rise consists of more than 105,000 square feet of casino space (including 1,900 slot machines and 80 table games), 15 world-renowned restaurants, 450,000 square feet of retail space, and back of house areas covering a total of 1.79 million square feet. The 24-month construction duration included the entire steel frame structure that used more than 20,000 tons of steel and incorporated cast-in-place concrete and slab on metal deck. This project required the installation of 950,000 square feet of stone, 29,000 square feet of which was agglomerate stone. Due to its proximity to the Las Vegas Strip and the fully operational Venetian Casino Resort, constant coordination was required to separate the general public from the construction activities. The Residence at St. Regis (also known at the Palazzo Condo Tower) is a 719 foot, 1.6 million square foot, 39 story, 415 unit condominium tower located adjacent to Las Vegas Boulevard. As part of the design of the space, a seven-story podium was constructed. This podium includes an assortment of restaurants and retail tenants including First Food & Bar, as well as Barney’s of New York. 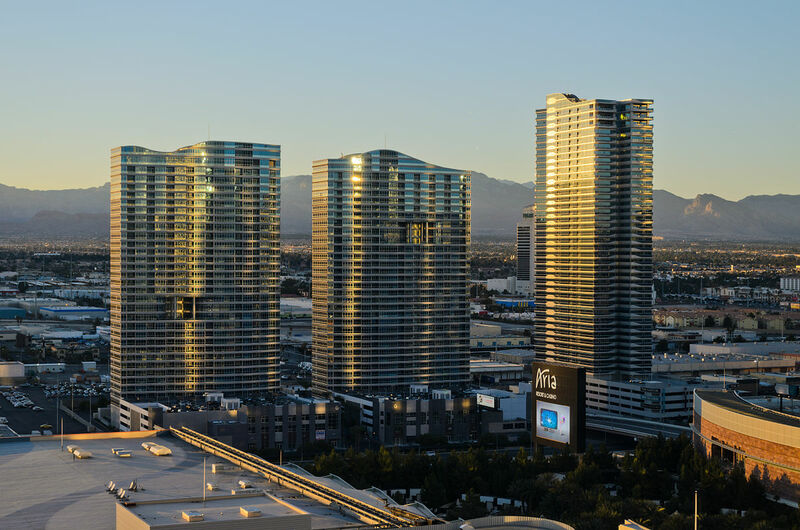 The construction of the Residences required the excavation of one level of underground parking for the residence motor court adjacent to Las Vegas Boulevard and the fully operational Palazzo Casino Resort. Once excavations were complete, erection of the podium and tower began. All of these efforts required intense coordination with the operating facilities and the local jurisdiction to avoid unnecessary negative impacts to the nearby traffic flow. 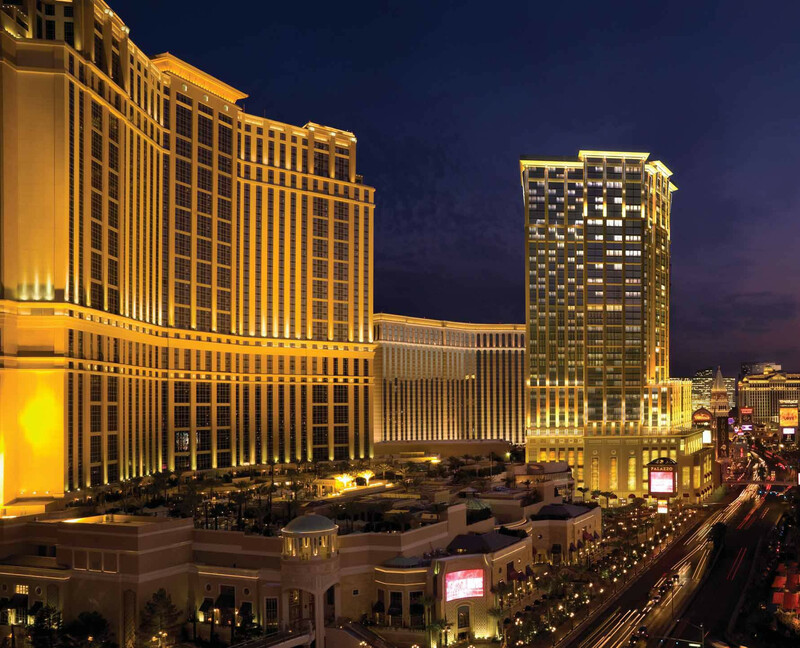 Furthermore, the construction required the tie-in of this building to the neighboring Palazzo Casino Resort. This necessitated the selective removal and replacement of wall and floor finishes during overnight hours to avoid impeding the general public. This successful effort allowed for the seamless transition between the two buildings. The Panorama Tower 3 project consists of a 43 story, 376 unit, cast in place high rise condominium tower with an attached six-story, 540 parking space precast parking garage for a total of 1,000,000 square feet of construction. This project is located at Harmon Avenue and Dean Martin Drive, and provides a majestic view of the Las Vegas Strip. The project design consists of a stacked configuration of the tower, which maximizes floor space and allows for 10 units per typical floor. The unique curtain wall systems consist of Juliet balconies that include operable sliding glass doors, allowing for fresh air supply into the building. The lower floors include a day spa, indoor Jacuzzi, steam rooms, conference room and gym, as well as building management spaces. The building’s HVAC system is supplied from a central plant located in the parking garage. At the height of construction, more than 450 construction personnel worked onsite daily. 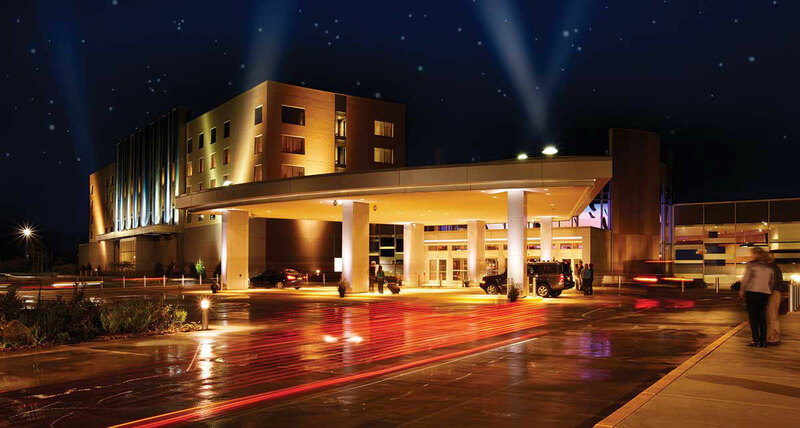 The Mohican North Star Casino consists of a two story, 130,700 square foot structural steel building. The casino provides space for a full casino, bingo hall, and food & beverage areas totaling 76,700 square feet with the remaining 54,000 square feet consisting of administrative offices and facility support areas. An adjacent, four-story parking garage includes space for more than 900 vehicles in a 292,000 square foot precast concrete structure. During the construction of Phase I, operations required coordination to avoid impacting the existing, smaller casino. Additionally, extensive value engineering occurred during this phase, prior to contract award, resulting in more than four million dollars in cost savings. After successfully completing Phase I, pre-construction services began for the construction of the Mohican North Star Casino Phase II. Phase II consists of a five-story, 133 room, 64,000 square foot hotel tower with an additional 40,000 square feet of casino space, hotel lobby and administration offices. As with Phase 1, extensive value engineering occurred prior to contract award, which resulted in more than eight million dollars in cost savings. 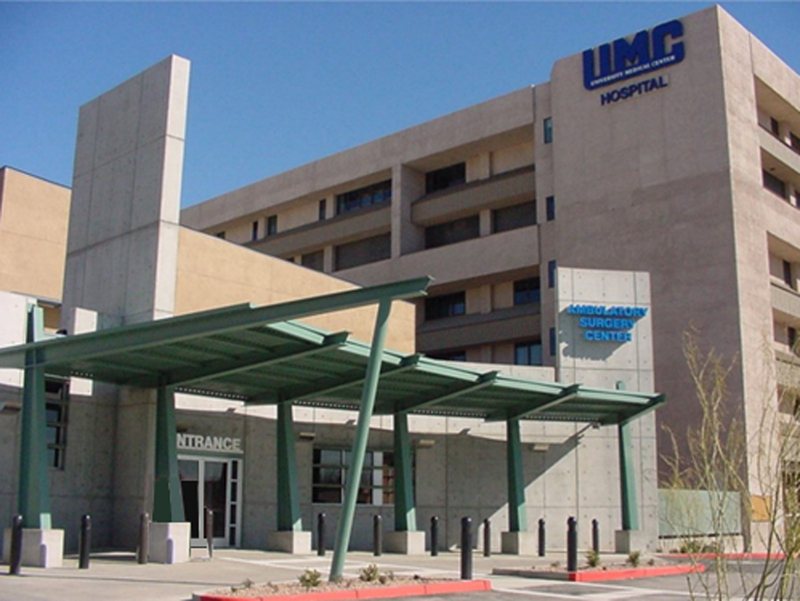 The University Medical Center (UMC) Sterile Processing Department remodel consists of a 16,400 square foot remodel of an existing space in a fully-functioning hospital with Level 1 trauma facilities. The purpose of the remodel is to add updated sterilization equipment and an exterior elevator. The interior remodel work consisted of reconfiguring the interior walls for improved efficiency in the space, as well as extensive modification to the fire sprinklers, mechanical, electrical, and plumbing systems to accommodate new sterilization equipment. In addition to remodeling the existing space, extensive exterior demolition was required to add structural beams for the new elevator shaft constructed of concrete masonry units and emergency egress stair. 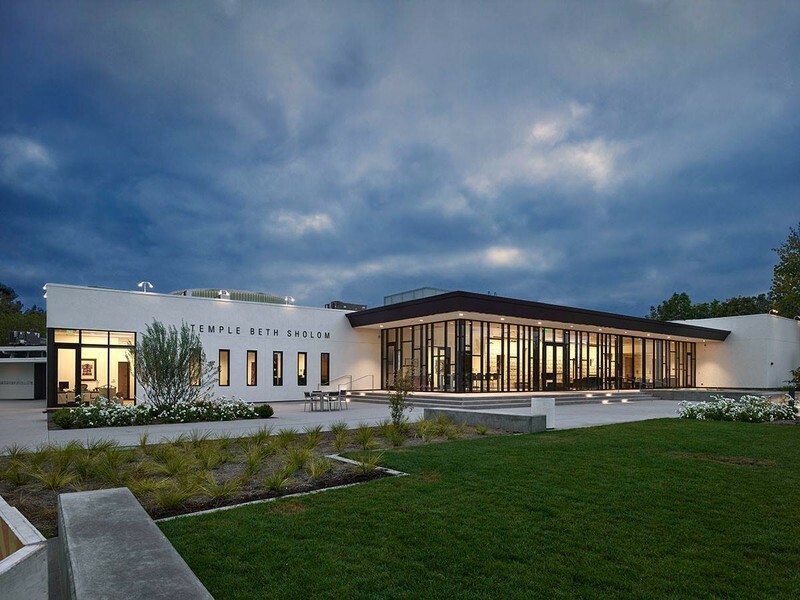 Temple Beth Sholom is a religious school, synagogue and multi-use facility in the master planned community of Summerlin in western Las Vegas. Phase I consisted of the classroom remodel and 25,000 square foot expansion valued at $500,000. This work included a two-story structural steel and masonry addition to the existing school, and required extensive remodel and coordination with the operating facility to avoid impacting their daily operations. Phase II of the project was ground up construction of approximately 55,000 square feet of steel frame and concrete masonry units valued at more than $3.7 million. This phase included two large social halls and a kosher kitchen attached to the main synagogue, secondary chapel for small services, and school consisting of classrooms, lounge library, separate student entrance and playground. We are committed to the Tribe and the success of the project. Our unique approach to Native American participation covers all phases, from assisting in writing job descriptions to creating a mentoring/training program to ensuring that the Tribe’s money goes into member households. Doug Neisen, Taylor’s partner with Woodstone Builders, says it best: “Building buildings is easy, but what really matters in life is building people."